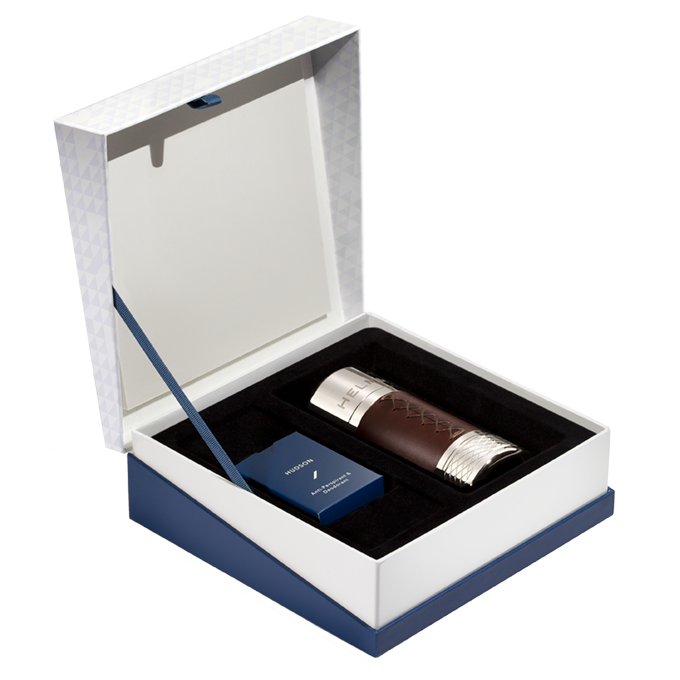 Comes with (1) Helmm Container and (1) Refill Cartridge in a premium gift box. Finally, a gift he'll actually use. Helmm is the first giftable premium antiperspirant & deodorant. Crafted with equal parts form and function, elevated in quality, and with scents designed by a world-renowned French perfumer, Helmm is the gift everyone can enjoy. Because as long as somebody close to you is wearing Helmm, everyone benefits. Recently, there’s been increased media attention on potentially harmful ingredients in antiperspirant & deodorant products, like phthalates, parabens, talc and sulfates. At Helmm, we support the goal of creating healthy, sustainable products that still retain peak effectiveness. So, we created proprietary antiperspirant & deodorant formulas that remove potentially harmful ingredients but refuse to compromise on functionality. Helmm partnered with Cecile Hua - a decorated French perfumer with over 20 years experience developing prestige fragrances for luxury brands – to be the first antiperspirant & deodorant company to craft scents with fine fragrance expertise. Helmm’s innovative, patent-pending design drastically reduces plastic waste. Our refill cartridges utilize 60% less plastic than pharmacy brands and are fully recyclable. Housed in a corrosion-resistant metal alloy container and outfitted with hand-stitched, Horween leather, our design captures the simplicity of modern industrial design while offering the old-world elegance of a scotch tumbler. Helmm’s Refill Cartridges are priced competitively with pharmacy brands, so you receive superior product and performance without breaking the bank.